We've gotten some negative reaction to our "Sadly, a Jew" verdict. 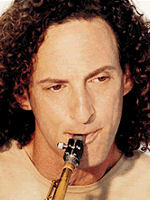 Apparently, some people think that we should embrace everyone Jewish, from thieves like Bernie Madoff to gangsters like Arnold	Rothstein to musicians like Kenny G. We're sorry. We can't do that. 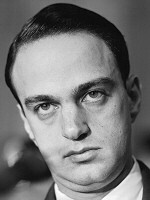 Case and point is lawyer Roy Cohn. He might not have stolen millions like Madoff or ordered murders like Rothstein or tortured our ears like G, but there is absolutely no way he can avoid the verdict. 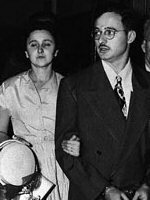 Cohn rose to prominence as a prosecuting lawyer in the trial of Julius and Ethel Rosenberg, helping to convict the spies. From there, he became the chief counsel to Joe McCarthy, ushering the country into a state of hatred and fear. 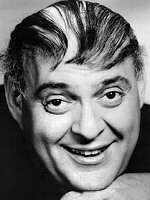 The Red Scare covered America, and Cohn was on the forefront. 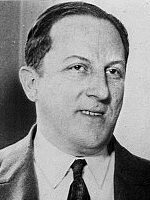 A Jew, he targeted other Jews. A homosexual, he targeted other homosexuals. There was no escaping McCarthy's and Cohn's grasp. Hundreds were blacklisted and imprisoned without cause. Thousands lost their jobs. And Cohn laughed all the way to the bank, parlaying his time terrorizing Americans into a successful private law career.